The Headshot: The Secrets to Creating Amazing Headshot Portraits from New Riders is an instructional guide on how to produce unique and creative portraits, whether they are assignment-based, for personal projects, or just of family and friends. 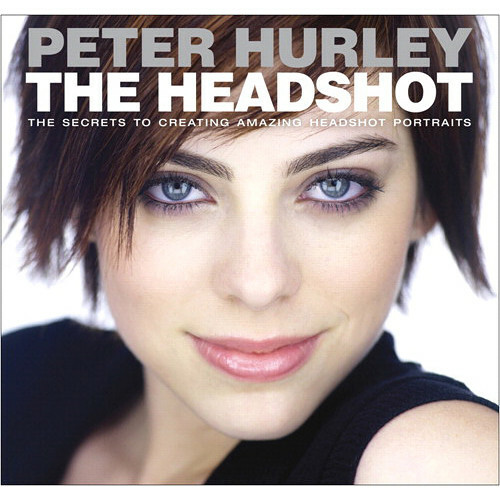 Authored by notable photographer, Peter Hurley, this publication begins with some of Hurley's classic recipes for producing effective shots, including his trademark "white background, flat light, chopped-off heads" look. Over the course of more than a dozen chapters, the book covers technical topics on lighting, composition, and camera setup, as well as how to establish a rapport with your subjects, how to gain expression from your subjects, and how to direct your subjects, with specific focus given to adjusting jaw, smile, eyes, and eyebrow positioning. This guide serves as an all-around foundation for producing effective portraits of a variety of different subject types. Chapter 3: Lights, camera, action-or not?